Your home is the one place where you dream and discover your sense of style. Who doesn’t want to have a beautiful and thriving home to create some fond memories? 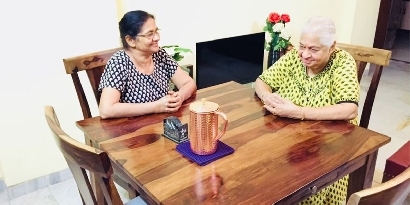 Well, those memories can beautifully be created when you have a comfortable and well-furnished home. Furniture is one thing which transforms the house into a home. In this modern era of “everything is just one click away,” it has become easy to buy furniture while sitting at home. But, finding best home furniture stores sitting at home is difficult. 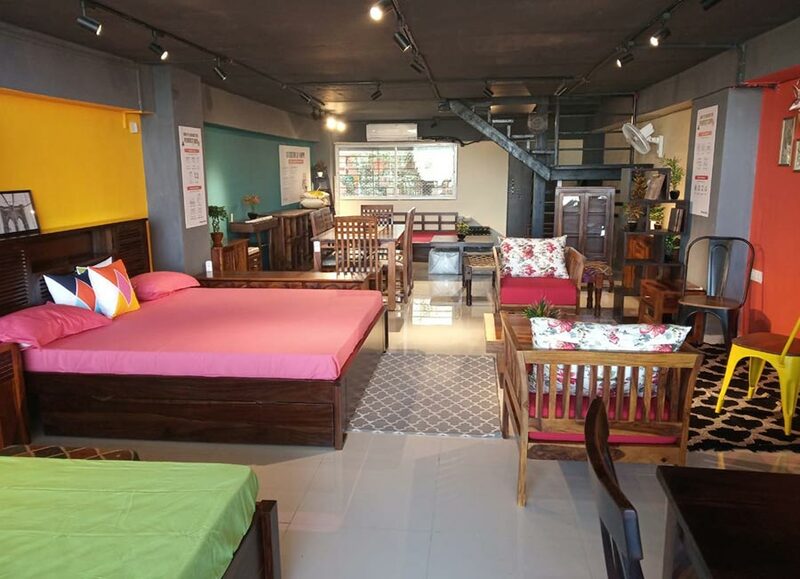 So, below the article, I have jotted down some of the furniture stores by Wooden Street across India. As we have discovered that people in Ahmedabad are more rooted in their traditions. And, nothing can better serve the amdavadis than our boho and wooden carved collection. According to punekars, they celebrate every big event in style. People from the cultural capital of Maharashtra are very much into experimenting when it comes to design and style. That is why they go with the trend and are inclined towards contemporary décor theme in their homes. 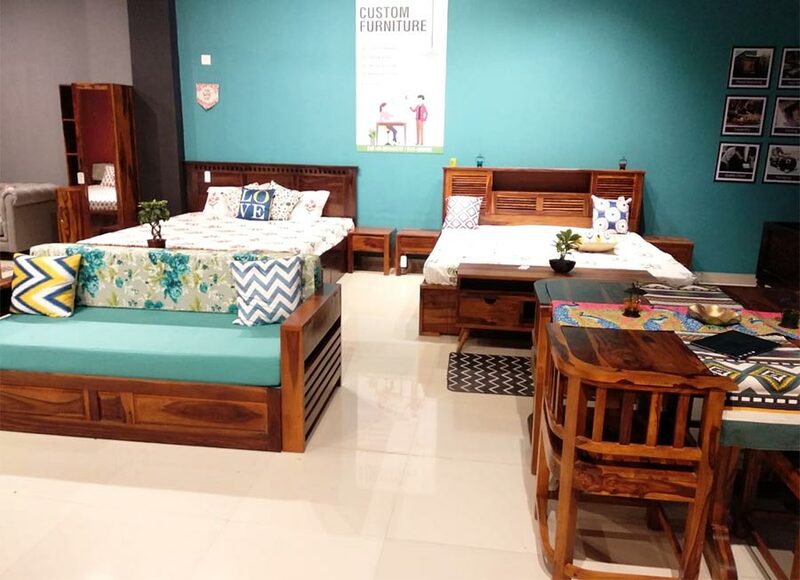 Our store at Kharadi in Pune have all the required trends like Metal chairs, Benches, central table and latest obsession of slatted pattern designed furniture. There are many more vibrant and trendy units; one Punekar would like to include in the home. 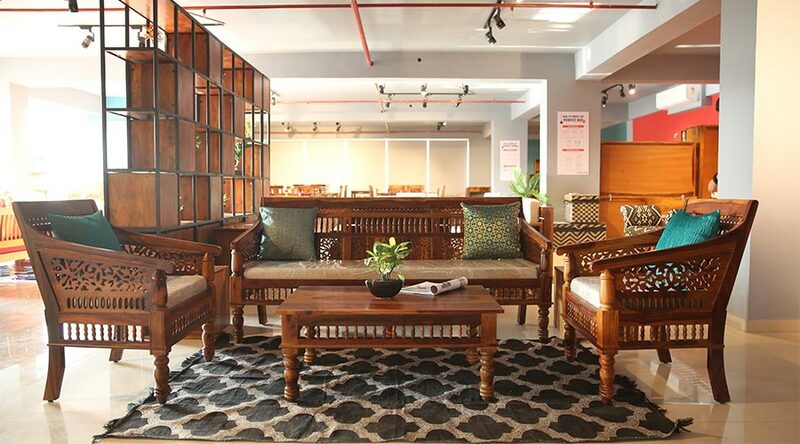 The cleanest city in India falls for clean lines also when it comes to furniture. This city is not only one step ahead when it comes to cleanliness but also one step ahead when it comes to decorating their home. Yes, you heard it right! The mini Mumbai of Madhya Pradesh with its historical monuments, vibrant bazaars, and street food is inclined towards sleek design and modern décor. 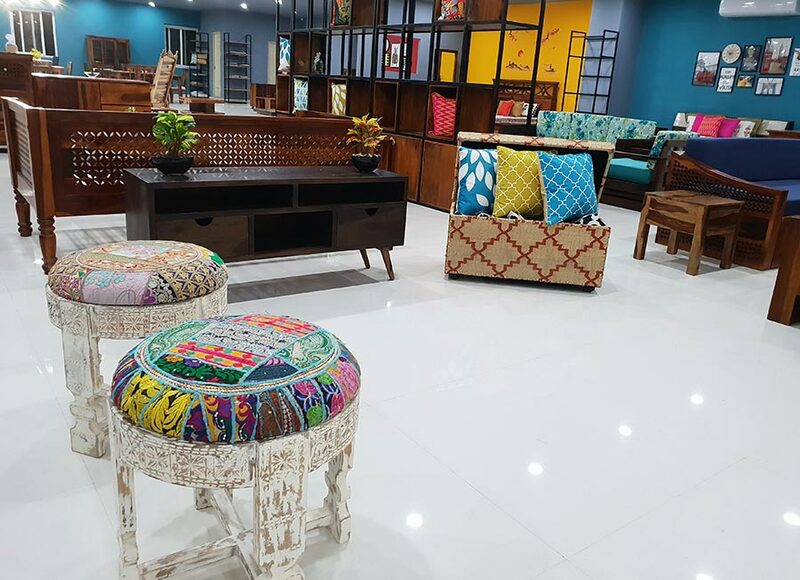 Our store at Vijay Nagar in Indore let to feel the beauty of dining table with bench, fabric sofa set, sleek designs of coffee tables, central tables and many more eclectic pieces of furniture. People from the cyber city of India has a different taste when it comes to decorating their home. Some like to flow with the trends, and some are falling for sleek and eclectic design. But not to worry! We have everything you are looking for, from modern eclectic furniture to contemporary, we have covered it all. Our store at Galleria Mall offers you luxury and comfort with lounge chairs, Chesterfield sofas, Divans, Beds with storage, 4 Seater dining table, Chest of drawers. Discover the grace of solid wood furniture on the land of the Nawabs by Wooden Street. 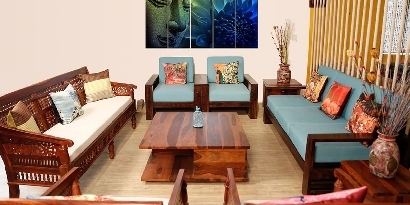 Our physical store located in Miyapur, which offers differently carved furniture units. From a leaf mesh pattern to Elephant carving we have everything to offer you in traditional and luxurious furniture. These were the experience stores by Wooden Street, but there are more experience stores in India. You can visit your nearest experience store whether you are in Bangalore, Mumbai, Noida, Jaipur, or Chennai. You can buy the furniture units from any of these stores but the payment gateway would always be online through our website. 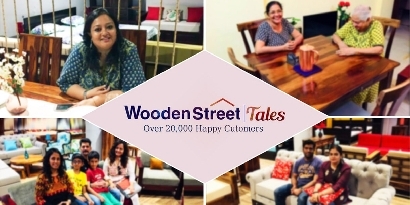 Feel the luxury, richness, and warmth of solid wood furniture at Wooden Street’s home furniture stores in your city. 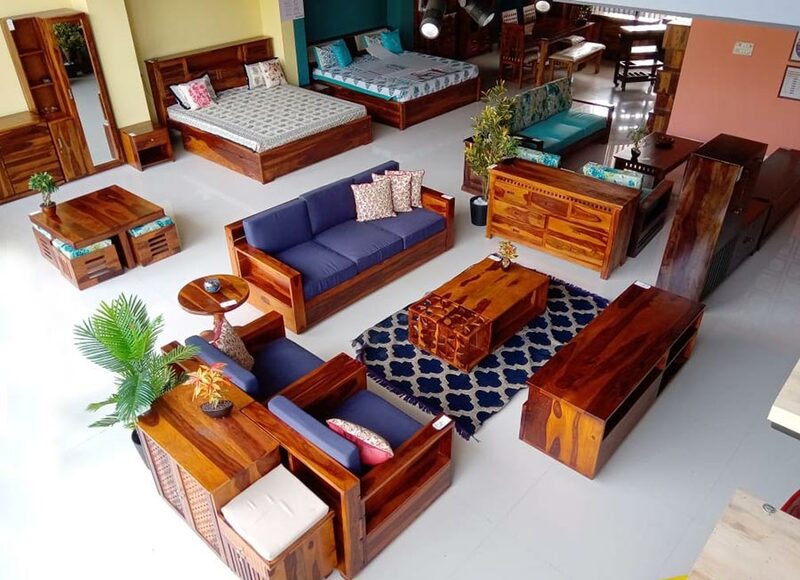 You can also get your furniture units customized from Wooden Street where furniture is bonded with love!